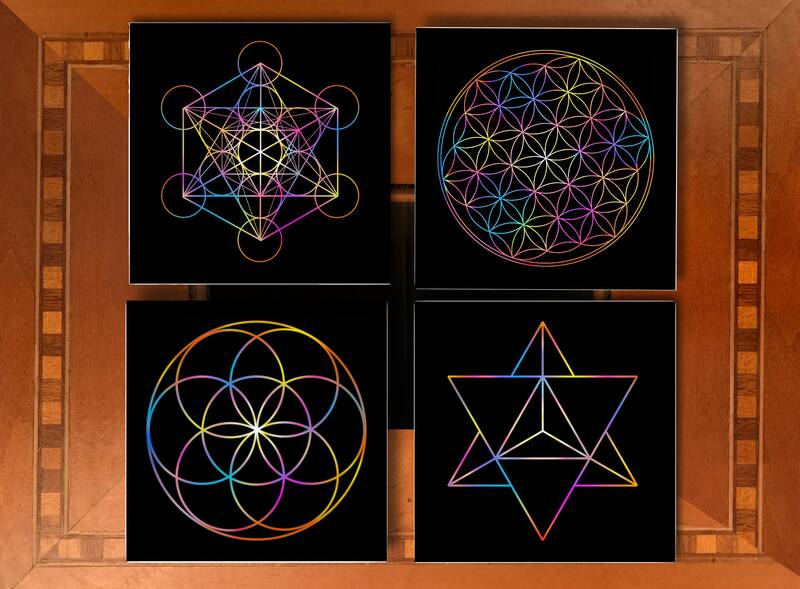 Beautiful glossy sacred geometry coasters depicting: Metatron's Cube, Flower of Life, Seed of Life and Merkaba. You can use these coasters as yantras to gaze at during meditation. These coasters have been infused with Reiki energy to raise your vibration & consciousness!